Bring the water, apple juice and cinnamon to a boil in a medium saucepan. Stir in the apples and allow them to cook and soften for 1 minute. 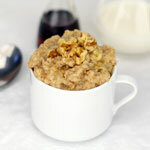 Stir in the oats, maple syrup and vanilla. Reduce heat to a simmer and cook until thick - stirring often. Check after 4 minutes for desired texture. 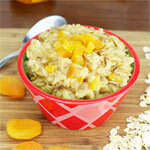 Transfer oatmeal to serving bowls and top with a small dollop of whipped cream. 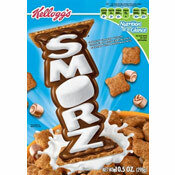 This makes a great 4th of July breakfast. It's your Independence Day from boring oatmeal. Top with whipped cream and it tastes a lot like apple pie. For another 4th of July breakfast idea, check out Red, White & Blue Oatmeal Parfaits. 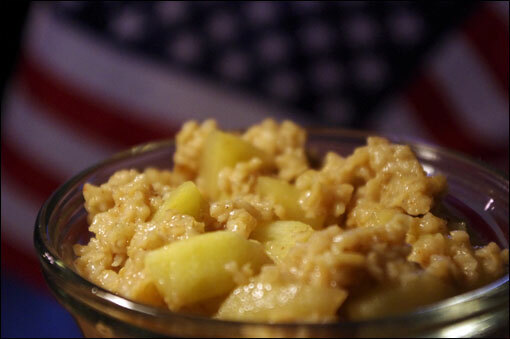 What do you think of As American As Apple Pie Oatmeal? A bit too sweet for me but still very good. I like the vanilla and maple flavor in this. 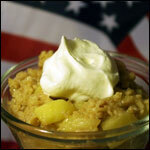 If you top it with a little granola (and whipped cream), it tastes exactly like apple cobbler! Fantastic recipe! Will definitely make again. This recipe is excellent. Simple but really really good. 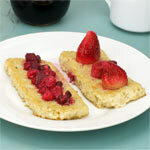 I used extra apple and also added in a few sprinkles of clove, some fresh grated nutmeg and a small dash of ginger. Tasted close to my apple pie. YUM. Served with fresh whipped cream and cold milk. Will be making this one VERY often! Thanks! Made this for 4th of July Breakfast - It was excellent!